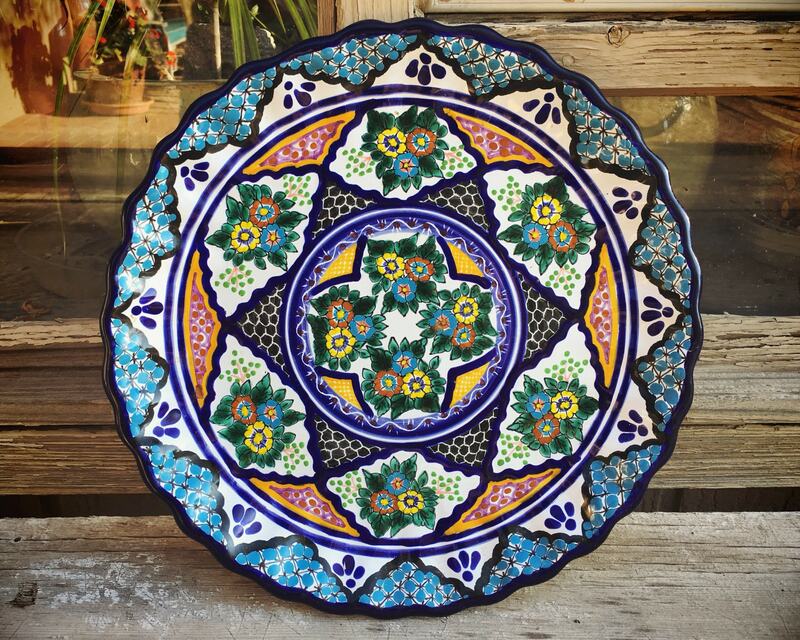 This scalloped plate is made to hang on the wall, from the ceramic workshop Casa Juquila. 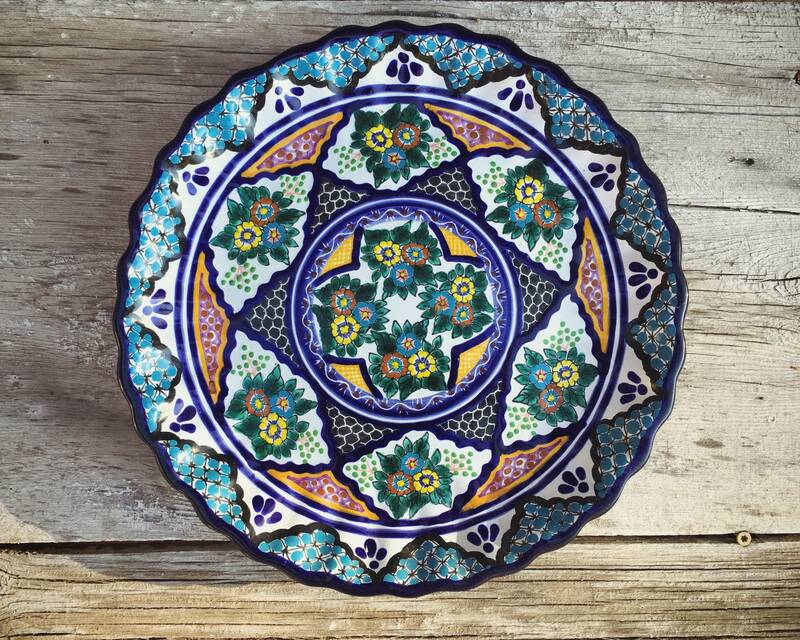 It is a form of Talavera pottery common to Puebla, Mexico. 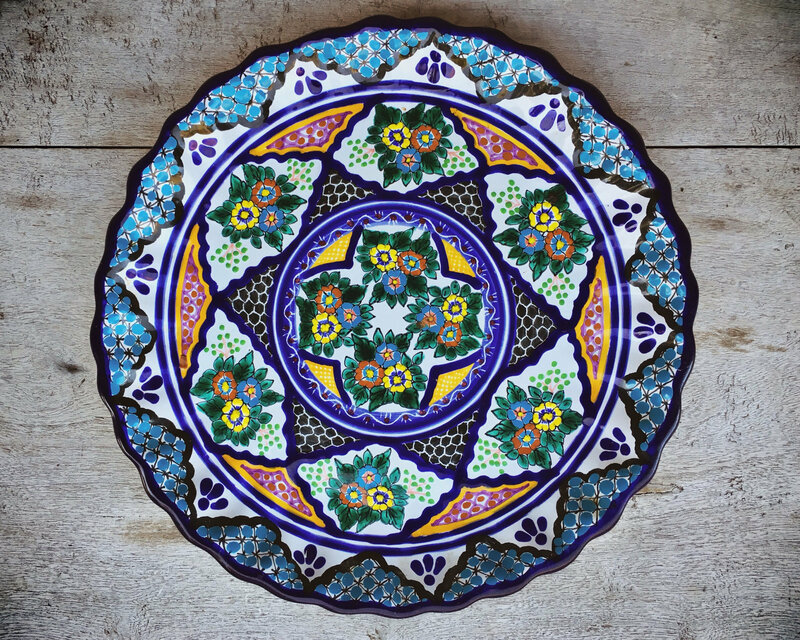 From a website about this type of pottery: "Talavera is a distinctive art form brought to Mexico by artisans from Talavera de la Reina, Spain, influenced by Moorish designs. 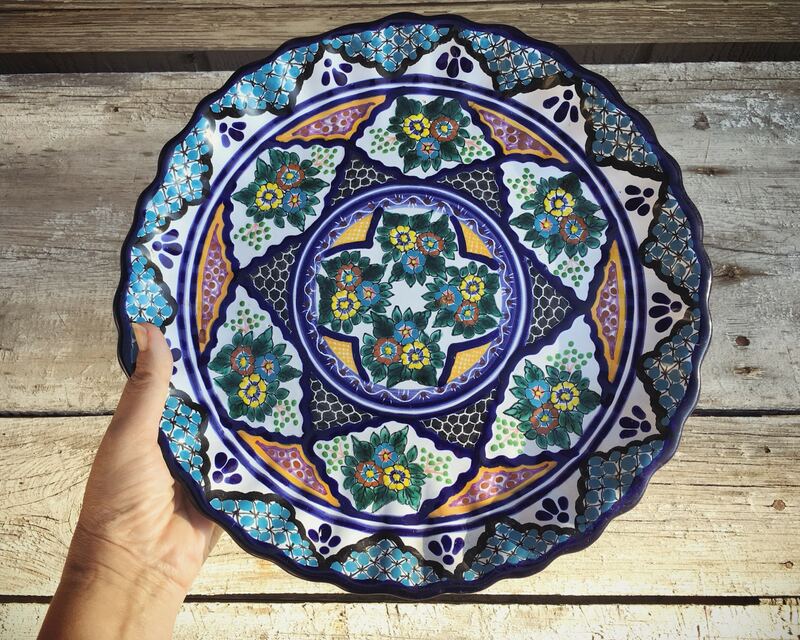 The artisans of Puebla then incorporated Chinese designs, thus creating the blue and oyster-white patterns traditionally associated with Talavera. Nowadays one may appreciate 'contemporary' designs that include yellow, green, and red." 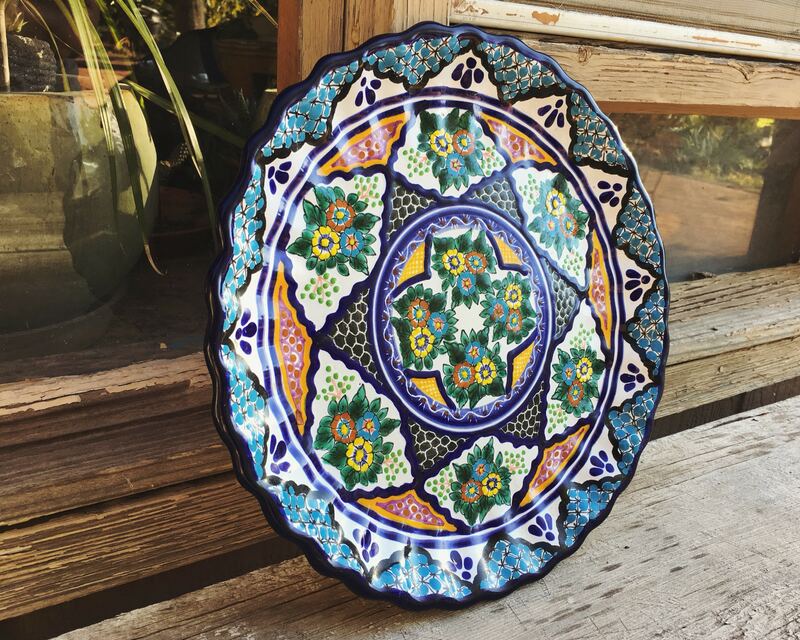 The plate features repeating triangle patterns emanating from the points around the central circle and finely painted pansy like flowers. 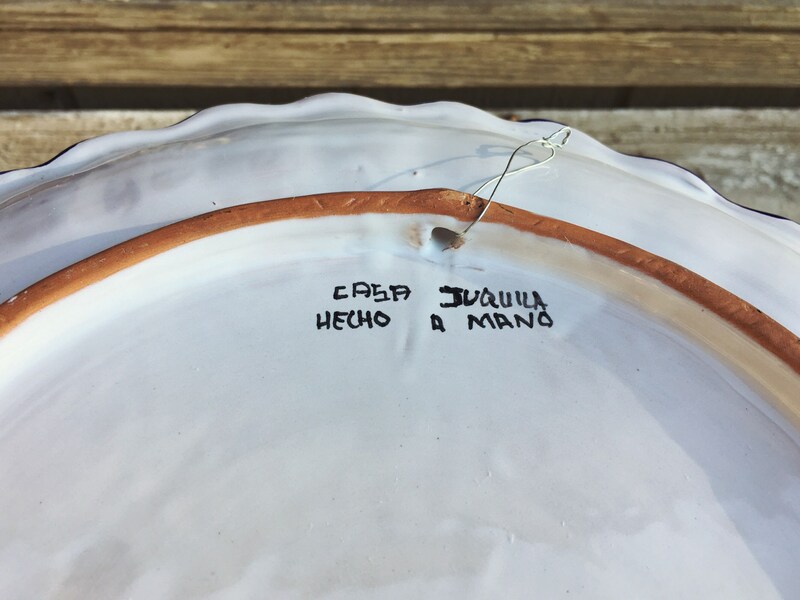 It's the kind of plate you want to look at in detail, then draw away from and look at from afar. Also notable is the mix of deep blue, then purpley blue, and the lighter blue along the edges. 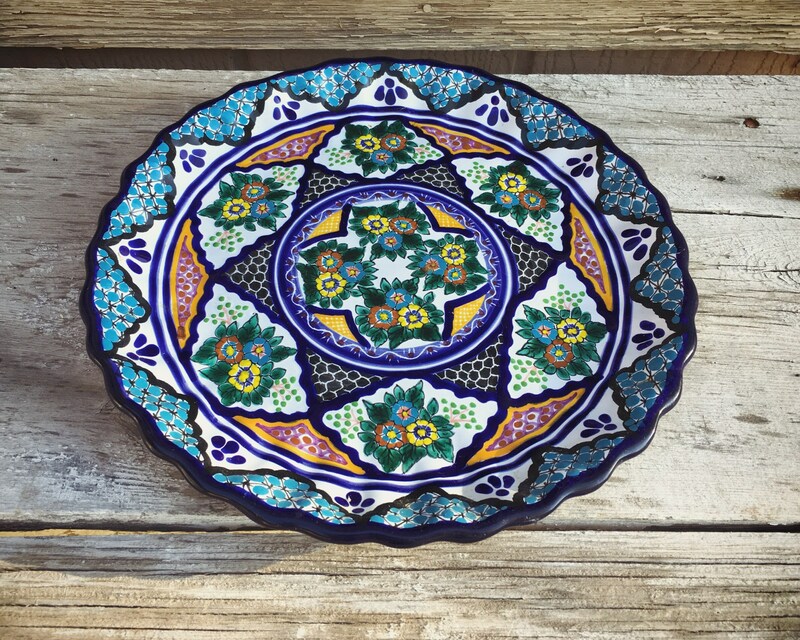 Beautiful example of this highly sought-after form of Mexican art pottery! Very pretty plate and excellent service. Can't wait to place on my wall.